Adventures of Lolo takes place in the country of Eden, where the Great Devils Evil Empire is wreaking havoc once again. Princess Lala leaves to seek help from Lolo, and on the way back to Eden, King Egger himself appears to kidnap Lala right in front of Lolo. 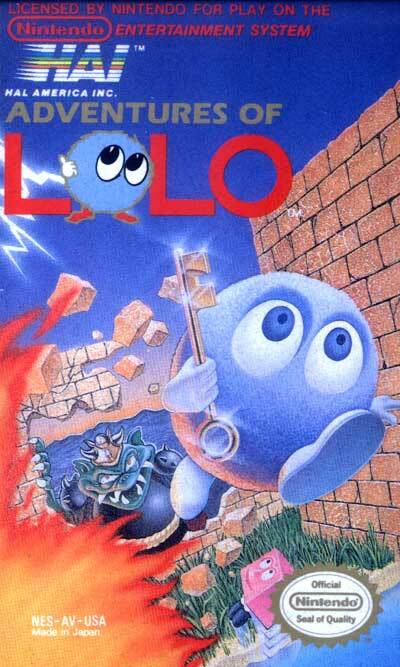 In order to save Lala and the country of Eden, Lolo arrives at the Castle of Egger and makes his way through ten puzzling floors in order to rescue the lovely princess.